This Cranberry Apple Sheet Cake has a delicious balance of sweet and tart. The cake is moist and the almond flavored frosting is creamy, smooth and the perfect complimenting flavor. This cake is a holiday must try! It is not the holidays at my house without a cranberry dessert. It is a seasonal fruit so I like to stalk up and use up while I can. I love the holiday season and all the baking that comes with it. This cake was a definite winner! It is such a tasty balance of sweet and tart. 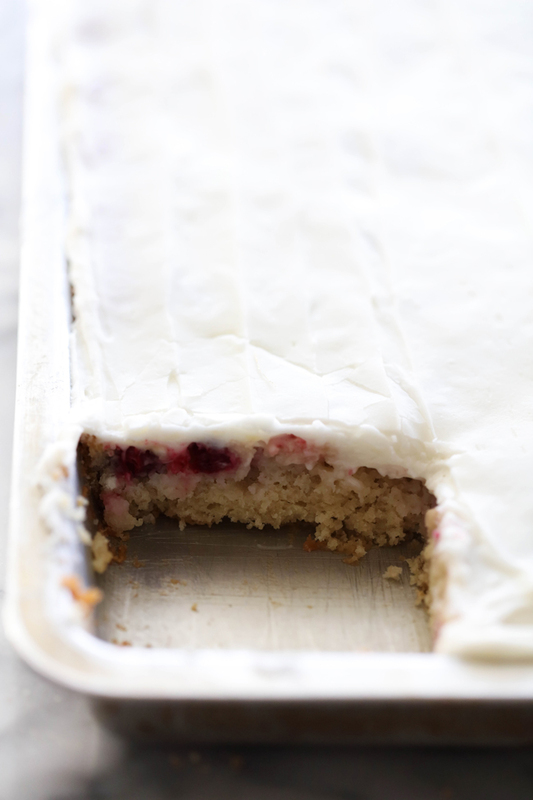 One of the best things about this Cranberry Apple Sheet Cake is probably the frosting. This is one of my absolute favorite frosting recipes of all time. The flavor is so good that I can’t even think of a word to use to describe it. It has a hint of almond flavor and is a great addition to this cake. 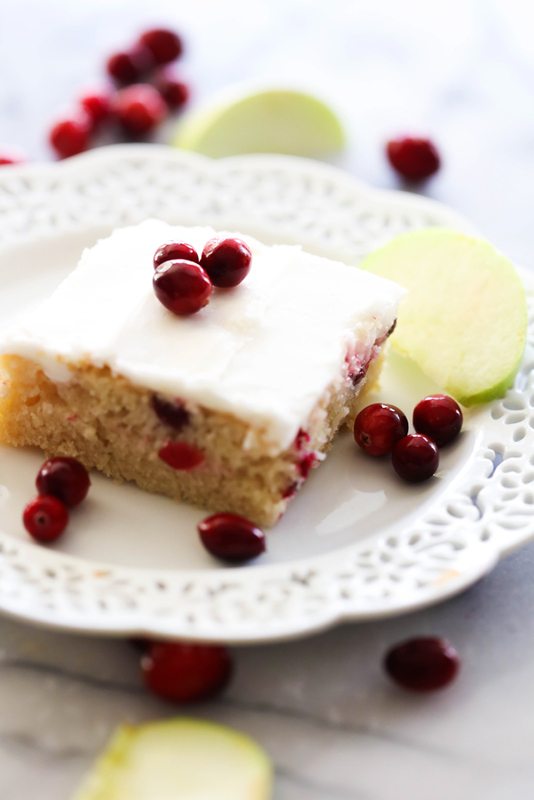 This Cranberry Apple Sheet Cake would make a wonderful addition to your holiday baking! In a medium sauce pan, combine butter, water, and shortening. Bring to a boil. After mixture reaches a boil, add it to the flour mixture and stir to combine. Add all the ingredients together and stir until smooth. After cake has cooled spread frosting over cake. Is ther a typo you have 1/2 cup butter & 1/2 cup shortening.